While it is possible for workplaces to feel like home and for a true family atmosphere to grow, it is a shame that corporations and businesses will always need to view their staff as value-creators and part of wealth-generation solely. To a degree, this makes sense. It’s important for a business to invest in you and thus hope for a return in your applied skillset over time. But of course, without good unionization, or without employees that defend themselves against mistreatment, a slippery slope can occur. In fact, we see how the personal line inches forward or backward all the time, and this will only be more appropriate as time passes and technological sophistication increases. While none of us are increasing the future dystopian vision often emphasized in Cyberpunk movies, automation, odd working habits, and strange new working trends are becoming the norm. You need only research how Amazon has treated workers in the past, or the developing trend of pregnancy tracking in some forms to confirm that cultures can change quickly. This means it is more pressing than ever to stand up for your rights at work and to know what they are in the first place. Let us help you with that, as you should always be a healthy person first and a happy worker second, but it’s always better if the two are unified. Whenever starting work, you will have to go through a series of processes before you are technically ‘employed.’ Of course, you will need to give your secure information, such as your residential address, social security or national insurance number, your account information, next of kin, etc. This is all something we consider normal, natural, and relevant to working at a place of employment. In fact, an employer that neglects to ask you this is likely a workplace you should inspect a little more closely. But alongside these necessary obligations, you will be presented with a list of forms you need to fill out. Many are excited to begin work and wish to confirm the employment, to the point that they sign without thinking. But it’s essential to read the contracts to ensure you know what they say beforehand. Do not simply assume everything is in order. You never know just what terms are in there. Perhaps you are expected to fulfill your own uniform cost, and take care of any repairs or replacements. Perhaps your pay will be docked for certain actions. 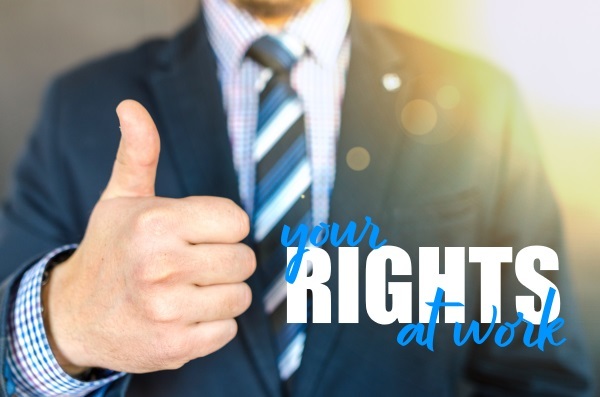 You cannot contest something you have previously signed, providing it is legal for the employer to have imposed those conditions on you in the first place. Even if sat next to your new manager who is in a rush and wishes for you to sign fast, be sure to stay true to yourself and read through it. Ask for more clarity on anything you are unsure of. This is an essential part of keeping yourself in-the-know about your vital responsibilities and the terms that bind you. It might be that we feel equipped to handle anything that could disrupt us at work. Perhaps we know that if injured, we are insured, and should there be provable negligence on behalf of the company, we can litigate and claim compensation. But what about if you’re stuck with a difficult disease or other forms of impedance? Consulting with professionals could help. For example, the NBA Law Firm can help you if exposed to asbestos and thus suffering from mesothelioma, perhaps an issue not quite prepared for or understood by your boss. A little professional know-how will help you understand where your limits are, and just what protection you might be valid in seeking. Preventing a precedent in mistreatment is essential to understand. It can be hard to do so. Let’s say that your boss humiliates you in front of everyone. You have two choices. Do you accept it, and allow that to potentially continue in the future? Or do you stand your ground and contest what they say? Perhaps you might go to HR and complain. At the very least, you might discuss with others how out-of-line that was. If nothing happens, leave. But at least let your feelings be strongly felt. If workplace bullying begins, do not bear it. Speak and report it. If being harassed, especially sexually, do not allow that. Expose it immediately. Do not allow precedence. When we do, we invite that behavior to begin again. It might cause a stink within the office, but it’s essential to do. And if no one listens, again speak with the legal professionals. With these tips, you’re sure to stand up for your rights at work.